Gen Victor Eugene Renuart, Jr.
Victor Eugene Renuart, Jr. was born on 26 November 1949. Renuart entered the Air Force in 1971 following graduation from Indiana University. He was commissioned as a Second Lieutenant in the U.S. Air Force through the Officer Training School in 1972 and attended Undergraduate Pilot Training. He has commanded a fighter squadron, a NATO support group, a fighter wing and a composite wing. He served as Commander of the 76th Fighter Squadron during Operations Desert Shield and Desert Storm, and supported Operation Deny Flight as Director of Plans for the NATO Combined Air Operations Center at Headquarters 5th Allied Tactical Air Force. In addition, he commanded Joint Task Force-Southwest Asia (JTF-SWA) and 9th Air and Space Expeditionary Task Force-Southwest Asia (9 ASETF) at Eskan Village in Riyadh, Saudi Arabia, where he was responsible for the control and execution of Operation Southern Watch. Renuart then served as the Director of Operations (CCJ3) at Headquarters, U.S. Central Command (USCENTCOM) at MacDill AFB, FL, and the USCENTCOM Forward Headquarters at Camp As Saliyah in Doha, Qatar, where he oversaw the planning and execution of all joint and allied combat, humanitarian assistance and reconstruction operations for Operations Enduring Freedom and Iraqi Freedom. He also served as Vice Commander, Pacific Air Forces (PACAF), where he was responsible for Air Force and Air Component Commander activities for the Commander, U.S. Pacific Command (USPACOM). He has flown combat missions in Operations Desert Storm, Deny Flight, Northern Watch and Southern Watch. Renuart served as the Director of Strategic Plans and Policy for the Joint Staff (J5) and Senior Military Assistant to the Secretary of Defense. He provided strategic intelligence, policy guidance and planning focus to develop and execute the National Military Strategy in support of worldwide national security operations, politico-military affairs, international negotiations and organizational issues through coordination with the combatant commands, the services, OSD, defense agencies, other U.S. government agencies and international organizations. 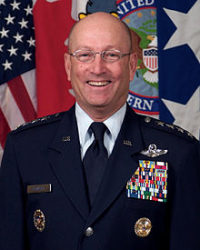 On 23 March 2007, Renuart was promoted to the four-star rank of General and was assigned as Commander, North American Aerospace Defense Command (CDRNORAD) and Commander, U.S. Northern Command (CDRUSNORTHCOM). General Renuart retired from the Air Force on 1 July 2010. During his service, he became a Command Pilot with over 3,800 flight hours, including 60 combat missions. The aircraft flown include the T-37, T-38, AT-38, A-10, F-16, F-15, C-130/HC-130 and HH-60. January 1972 - March 1973, student, undergraduate pilot training, 3640th Pilot Training Wing/38th Flying Training Wing, Laredo AFB, TX. March 1973 - July 1976, T-37 Instructor Pilot, 29th Flying Training Wing, Craig AFB, AL. July 1976 - September 1979, Assistant Professor of Aerospace Studies (Air Force ROTC Detachment 225, University of Notre Dame, South Bend, IN. September 1979 - April 1980, student, AT-38 and A-10 training, Holloman AFB, NM, and Davis-Monthan AFB, AZ. May 1980 - June 1982, A-10 Instructor Pilot and Flight Commander, 92nd Tactical Fighter Squadron, 81st Tactical Fighter Wing, Royal Air Force Bentwaters, England. June 1982 - July 1984, Operations Officer, Detachment 2, 81st Tactical Fighter Wing, Detachment 2, Leipheim Air Base, West Germany. July 1984 - November 1985, Operations Inspector, Office of the Inspector General, Headquarters U.S. Air Forces in Europe, Ramstein AB, West Germany. November 1985 - September 1986, Executive Officer to the Inspector General, Headquarters U.S. Air Forces in Europe, Ramstein AB, West Germany. September 1986 - July 1991, Chief of Wing Inspections, 23rd Tactical Fighter Wing, later, Operations Officer, later, Commander, 76th Tactical Fighter Squadron, England AFB, LA. 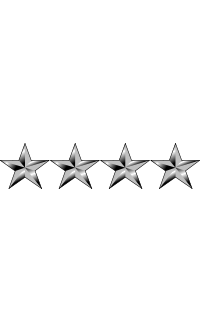 July 1991 - July 1992, student, Army War College, Carlisle Barracks, PA.
July 1992 - March 1993, Director of Assignments, Deputy Chief of Staff for Personnel, Headquarters U.S. Air Forces in Europe, Ramstein AB, Germany. March 1993 - October 1994, Commander, Headquarters Support Group, Allied Air Forces Central Europe, NATO, Ramstein AB, Germany. October 1994 - June 1995, Executive to the Assistant Chief of Staff for Operations, Operations Directorate, and Senior U.S. Representative, Allied Air Forces Central Europe, NATO, Ramstein AB, Germany (November 1994 - May 1995, Director of Plans, NATO Combined Air Operations Center, 5th Allied Tactical Air Force, Vicenza, Italy). June 1995 - April 1996, Assistant Director of Operations, Headquarters U.S. Air Forces in Europe, Ramstein AB, Germany. April 1996 - June 1998, Commander, 52nd Fighter Wing, Spangdahlem AB, Germany. July 1998 - March 2000, Commander, 347th Wing, Moody AFB, GA.
April 2000 - May 2001, Commander, Joint Task Force-Southwest Asia and Commander, 9th Air and Space Expeditionary Task Force-Southwest Asia, U.S. Central Command, Riyadh, Saudi Arabia. 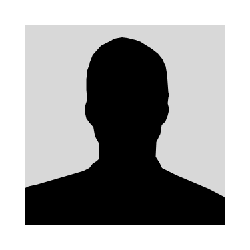 June 2001 - November 2003, Director of Operations (J-3), U.S. Central Command, MacDill AFB, FL. December 2003 - August 2005, Vice Commander, Pacific Air Forces, Hickam AFB, HI. August 2005 - August 2006, Director for Strategic Plans and Policy, the Joint Staff, Washington. August 2006 - February 2007, Senior Military Assistant to the Secretary of Defense, Washington. March 2007 - May 2010, U.S. Northern Command (USNORTHCOM) and Commander, North American Aerospace Defense Command (NORAD).